When we are talking about Welded Wire Mesh then it comes with a structural perfection aided by electrical welding. The metal alloy used here is low carbon steel or stainless steel that provides ample rust protection. It is ideal for industrial and agricultural usage. The sheet can be cut into desired shape and size. The metal rods are placed laterally and longitudinally in perfect alignment. Our firm produces high quality mesh with the help of fully automated plant. 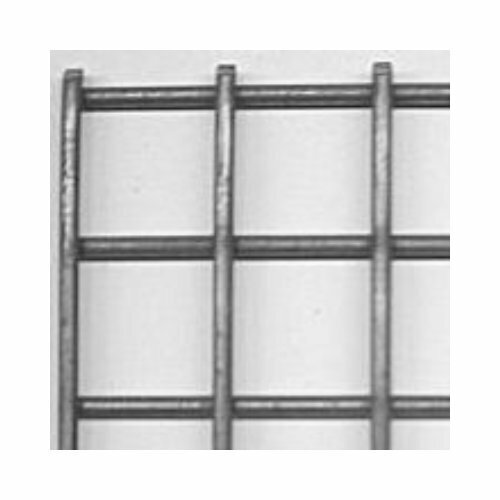 "JK Wire Netting Industries", established in the year 2003, we are a youthful company, manufacturers, suppliers and exporters an enormous variety of premium quality Wirenetting Products such as Woven Wire Mesh, Welded Wire Mesh and Perforated Sheets. The diversity of products offered by us include Wirenetting Products, Demister Pad, Vibrating Screen & Woven Wire mesh, Screen Assembling Loom, Wire Weaving Loom, Wire Crimping Machine, Wire Conveyor Belts, Wire Belts, Metal Sheets And Separators, Emulsion Mist Separators, Droplet Separators, Cable Tray, Perforated Sheet and Expanded Metal Sheet. We are ISO 9001:2008 certified organization. Our products demonstrate durability, high resistance to heat & corrosion, excellent finish, dimensional correctness, high tensile strength and dependence. Owing to these qualities, our products find widespread application in different industries such as chemical, fertilizer, cement, pharmaceutical etc. We have earned a status for providing outstanding after sales services; disturb free payment modes and better quality products at the best prices offered in the Indian market. We are also exporting our products in Europe, Sri Lanka, Nepal, Bangladesh and Middle East countries.